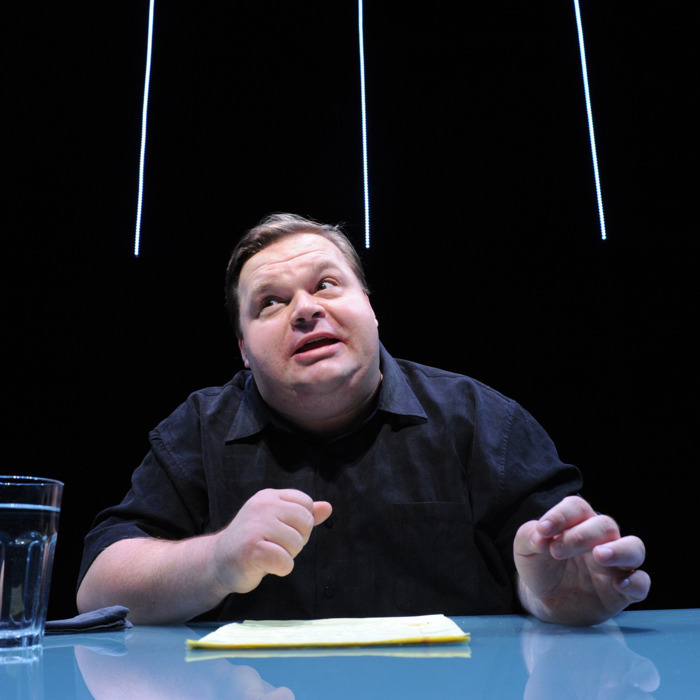 Mike Daisey in The Agony and the Ecstasy of Steve Jobs. I write this review on a machine masterminded and commissioned by Steve Jobs, a machine that is, as I type, connected to another machine masterminded and commissioned by Steve Jobs, in an apartment where Steve Jobs holds patents on just about every object any self-respecting burglar would bother burgling. Even in death, the man circumscribes my life. 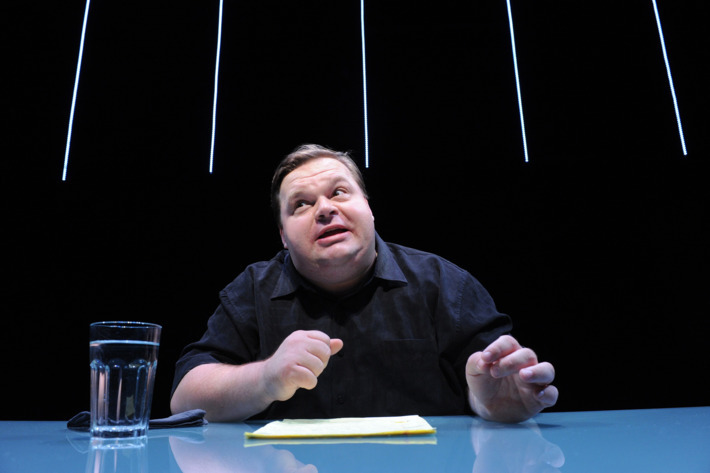 I am, in other words, not unlike the monologist Mike Daisey: A middle-class, under-50, Brooklyn-dwelling consumer of vaguely virtuous-seeming hipware. I don’t shop around too much for my personal electronics. My default setting is Jobs, the man who more or less invented the concept of “personal electronics” — I’m just another dues-paying layperson in the church of Apple. The Agony and the Ecstasy of Steve Jobs is at the Public Theater through November 13.